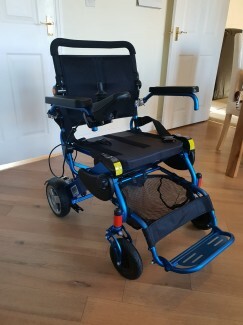 Foldalite Pro wheelchair, as new (used twice) – collapsible to put in car boot, lightweight (c 25kg) and lithium batteries give 8 mile range. 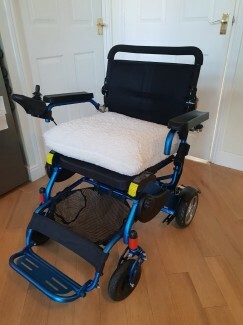 Highly manoeuvrable, joystick can be mounted right or left. Cushion with faux fur cover. RRP £2400 new, on sale for £995.